Dang it. I knew all of them until you had to throw in that last one, "abdicate". 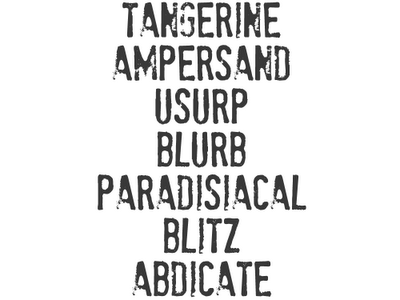 I love "zephyr", "oi", "idiocy" and "bildungsroman." I know, stupid English major term, but don't you just love saying it AND knowing what it means? Yes, I do. Yes, Megan! I love the moments when I actually use bildingsroman in conversation, immediately feel like an idiot, and then realize that knowing it and being able to use it makes me an UNidiot. Should we pause and consider what kind of whacky nerd-conversation I engage in when the term is actually appropriate? Dork. mr bird loves it. we should do posts about him more often. That concept actually frequents my conversations too...I am a dork too. Birds of a feather?